Fresh & Light Ultimate Care Unscented Hypoallergenic Multi-Cat Scoop litter is the ultimate lightweight litter for sensitive cats. This hypoallergenic, perfume and dye free formula provides 10+ day odor control and forms super hard clumps that are easy to scoop. And its low dust formula is perfect for sensitive or allergic cats and owners, making breathing easier and cleanup a breeze. It’s truly Light Done Right. 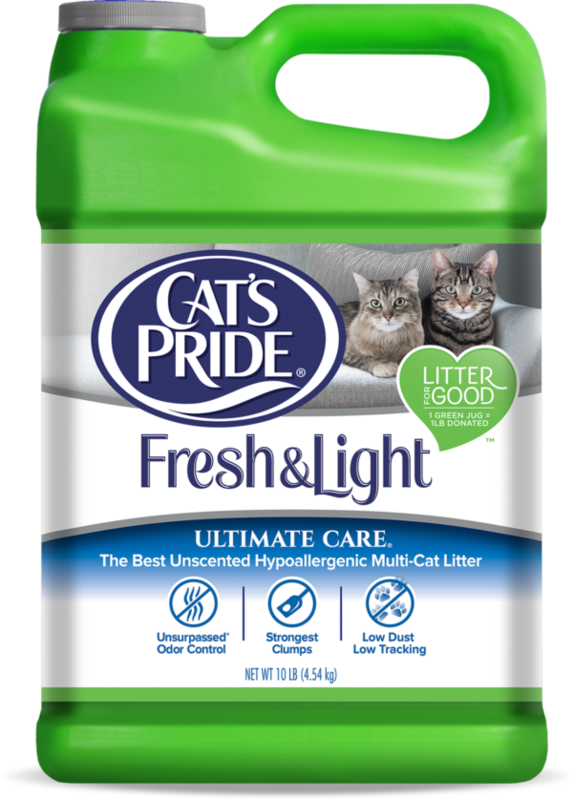 Cat’s Pride Fresh & Light Ultimate Care Unscented Hypoallergenic Multi-Cat Scoop is rated 3.9 out of 5 by 127. 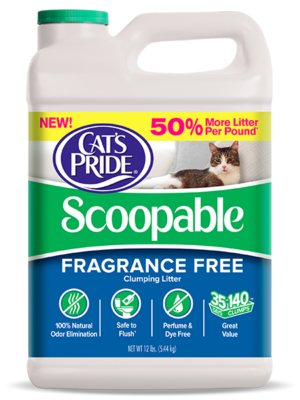 Rated 5 out of 5 by amigo from Great litter-if only it came in a cardboard box After trying many other kinds of litter, my cat and I think this is the best! Truly unscented, truly lighter than most, and produces less dust. Unfortunately I can no longer find it in cardboard boxes and I am unwilling to buy it in plastic jugs, adding to the plastic waste crisis. Rated 5 out of 5 by osugirlinfl from No odor I switched to this brand when my old brand (a well known brand) just wasn't controlling the odor problem. This really takes care of the issue! I will definitely continue using this. Rated 5 out of 5 by Kathleen from My cat loves it! I have a very sensitive cat. I have searched around for a non-scented, hypoallergenic litter and all of the other brands were too expensive and didn't perform. I am so happy I found Cat's Pride Fresh & Light Unscented. It helps control odors for the longest amount of time and my cat loves it. Also they support my local shelter. What could be better? Rated 5 out of 5 by Jebbie from Best litter ever I am handicapped and I just love the fact that this litter is so light. Also I love the buy a jug give litter to shelters. Our big boy Samuel Grindal was declawed when we got him and he just LOVES this litter. Easy to scoop and keep clean and Spike and Max don't throw it about as they did with regular litter. Rated 5 out of 5 by alwaysdrita from Only one that works! Tried this several weeks ago and am so pleased! This is the only litter that does as advertised and does not make my cat sneeze! Rated 5 out of 5 by trisha from very good cat litter! This is the only cat litter I buy my cat and she is happy using it. Rated 5 out of 5 by Happy cat owner from Best cat litter EVER! No more sneezes coming out of the litter! Clumps great, holds ordor, light weight most importantly hypoallergenic. Remeber people, cats clean their feet. Perfumes and dyes are awful for them!! !Was having issues w an occasional surprise poo in the shower using scented brands lol. No more! Thrilled with this version thank you!!! Hi, I recently purchased two jugs of Cat's Pride Fresh and Light Ultimate Care at the same time at a local grocery retailer. One of the jugs contained litter that was brown colored with larger granules and the other was gray colored and sand-like. Why? Thank you for your question. Please be advised that this product is manufactured from different plants located in different areas of our country. The clay color will vary from plant to plant: however, the formula and the performance will not change. The texture should always be very fine regardless of the plant location as well. If you would like coupons for this product, please contact our consumer relations 1-800-645-3741 ... Your continued support is very important to us! Can I use this litter for a kitten? 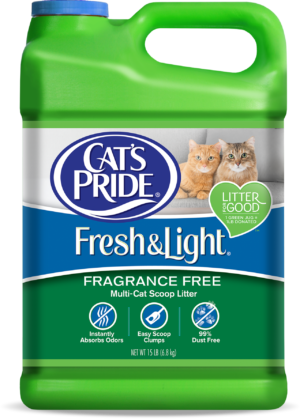 I am a faithful user of Cats Pride fresh &amp; light &nbsp;unscented hypoallergenic litter. Got 2 box&rsquo;s of the new Ultimate Care because it is listed on box as &ldquo;dust free&rdquo;. It is NOT dust free. Am very disappointed. just as dusty as what I use. I wish to purchase a hypoallergenic cat litter with clumping for my two cats. The litter should not contain silica and or sodium bentonite. Please advise me which product I should buy to satisfy these criteria. I am allergic to peanuts. 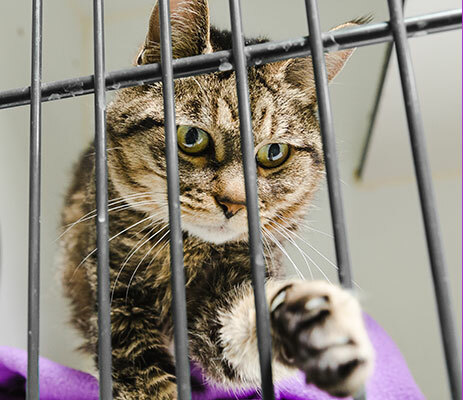 Does your cat litter contain peanut shells? So, the litter I'm using now is lightweight and 100% dust free, but I hate the smell of it. Just how &quot;low dust&quot; is this product?